South easterly winds today gusting at almost 40mph, however, not as cold as yesterday with the temperature staying around 9-10ºC. Today saw the first Redstart of the year, a nice male just near Cristin on the mountain. 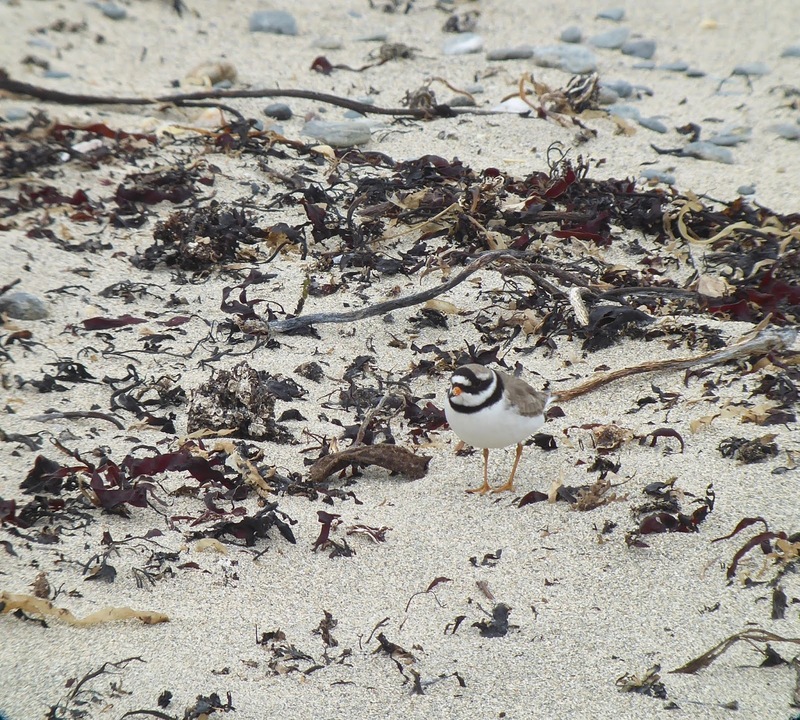 Also a Ringed Plover was with the regular Turnstones on Solfach. Birds around include: 181 Oystercatchers, one Merlin, 206 Manx Shearwaters off South End, nine Fulmars, 11 Meadow Pipits, seven Rock Pipits, five Blackbirds, 15 Choughs, one Purple Sandpiper, 30 Linnets, two Goldfinches, 12 Wheatears and four Puffins. All photos on this blog are copyrighted to their respective owners, and may not be used or reproduced without prior permission. Please use the 'contact' section above if you wish to use any. News updates will be added to this site daily. There will be brief updates added during the day (time and birds allowing), and then a summary of the day will be written by Ben Porter and posted during the following day or so depending on how much news there is to report. Bird Observatories of Britain and Ireland. Click the book to see inside!! 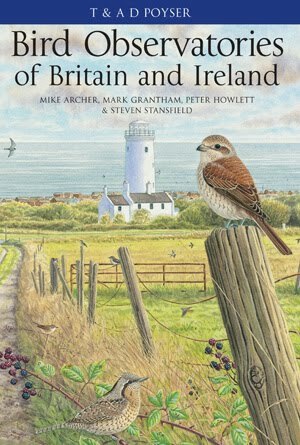 Edited by Mike Archer, Mark Grantham, Peter Howlett and Steve Stansfield and published by T & AD Poyser, this new book describes how much has changed since the first edition of Bird Observatories in Britain and Ireland was published in 1976. Detailed account of the history and work carried out at each of the 18 observatories, with personal accounts by wardens and staff of the excitement of discovering a rarity, watching thousands of migrants attracted to a lighthouse after dark, and the pleasure and experiences that working at some of the country’s most remote and beautiful locations can bring. Click the picture of the book to see inside or to buy your copy. Bardsey Bird and Field Observatory was founded in 1953. Since then it has monitored the island’s birds and wildlife. 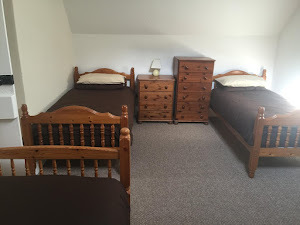 The observatory building itself is based in the old farm house at Cristin, and can accommodate up to 12 staying guests from Saturday to Saturday. If you are interested in staying at the observatory, you can find out more information here. 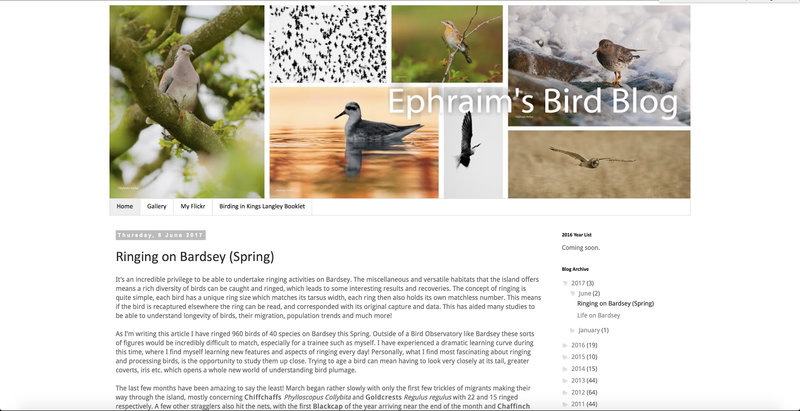 Being sited on the main migration route of many species, Bardsey (or Ynys Enlli in Welsh) is a well-known site for migrant birds, turning up many scarcities and rarities, as well as large numbers of common migrants. The island’s list now stands on 326, after the recent addition of Citrine Wagtail in October 2012. Although Bardsey’s reputation for rare birds may not quite match that of some observatories, it is almost certainly the best site in Wales for rarities. Among Bardsey’s rarer visitors are the first Summer Tanager (1957) and Yellow Warbler (1964) to have been recorded in Britain and Ireland, as well as American vagrants such American Bittern, Sora, Kildeer, Spotted Sandpiper, Grey-cheeked Thrush, American Robin, Song Sparrow, Dark-eyed Junco, Red-eyed Vireo, Common Yellowthroat, Rose-breasted Grosbeak and Blackpoll Warbler. To add to this impressive list of rarities, Black-winged Stilt, Lesser Yellowlegs, Lanceolated Warbler, River Warbler, Booted Warbler, Blyth’s Reed Warbler, Eyebrowed Thrush, Thrush Nightingale, Red-flanked Bluetail, Isabelline Wheatear, Black-eared Wheatear, Collared Flycatcher, Blyth’s Pipit, Pine Bunting, Rock Bunting, Yellow-breasted Bunting and White-throated Sparrow have all been recorded. Besides the rarities, Bardsey regularly attracts large numbers of weary migrants during 'fall' conditions in Spring and Autumn, largely a consequence of the fully operational Bardsey Lighthouse. In 2011, for example, a single grounding of migrants resulted in over 1000 Willow Warblers making groundfall on the island in August. In the not-so-distant past, a single attraction of 40,000 Redwings occurred in late October at the end of the last century. Bardsey is home to some 16, 000 pairs of Manx Shearwaters, which can be heard on dark nights from mid-March to August. They breed in their excavated burrows, which are scattered all over the island. Chough is the most important species of conservation concern, with between four to eight pairs nesting around the coastal cliffs most years, and a wintering flock of up to 50 individuals. Two pairs of Peregrines breed on the island, and a single pair of Ravens also nest in most years. There are several species which nest only occasionally, such as Sparrowhawk and Little Owl, along with Afro-Palearctic migrants like Sedge Warbler, Blackcap, Chiffchaff and Willow Warbler. Up to ten pairs of Stonechats can nest in the isolated gorse patches around the island, along with one or two pairs of Skylarks, and many Linnets and Meadow Pipits. Corncrakes were once a common breeder on the island, although since 1970 there have been no confirmed pairs nesting. In recent years the likes of Lapwing, Yellowhammer, House Sparrow and Starling have also all become extinct as breeding species. In contrast, Shelduck, Puffin, Long-eared Owl and Goldcrest have been added to the breeding bird list since 1998. Ringing is a very important part of the observatory’s role on the island. Since 1953, the observatory has ringed over 250, 000 birds of 191 species. The highest number ringed in a single year was 1988, with a total of 11, 301 birds ringed of 93 species. There have been many days in the observatory’s history when several hundred birds have been ringed in one day; these occasions have mostly involved breeding seabirds, although these numbers can also easily occur with migrant species. A total of 420 species of moths have been recorded on the island: 275 species of macro and 145 species of micro-lepidoptera. Bardsey is not an overly good location for scarce moths, although the existence of Thrift Clearwings (Nationally scarce) has been established on the Thrift plants around the coast in recent years, after first being recorded in the years 1980 and 1996. Migrant moths arrive in small numbers every year, for example the annual arrival of Hummingbird Hawkmoths in the autumn; rarer immigrants in the past have included Death’s Head Hawkmoths, Vestals, Crimson Speckled and Red-necked Footman. In recent years, a greater emphasis has been placed on recording and identifying the so-called ‘micro-moths’, which has resulted in the finding of 41 new species for Bardsey since 2011. In 2012, the coastal subspecies of Eana penziana (E.p.colquhounana) was re-found on the island, which was the first time that this Nationally Scarce species had been recorded on Bardsey since 1966. Apotomis semifasciana is also amongst the scarcer species of micro-moths to inhibit the island (also Nationally Scarce). Butterflies are present on the island in small numbers, with species such as Common Blue, Small Copper and Small Tortoise-shell being the most common. A scarcer breeding species is the Grayling, which can be found in small numbers on the top of the mountain. Migrant butterflies such as Painted Lady can arrive in their hundreds, although other migrants such as Clouded Yellow and Dark-green Fritillary are quite rare.